With water dye it is possible to give every vase the color you desire. You can match the clear water with the color of your flowers or interior. 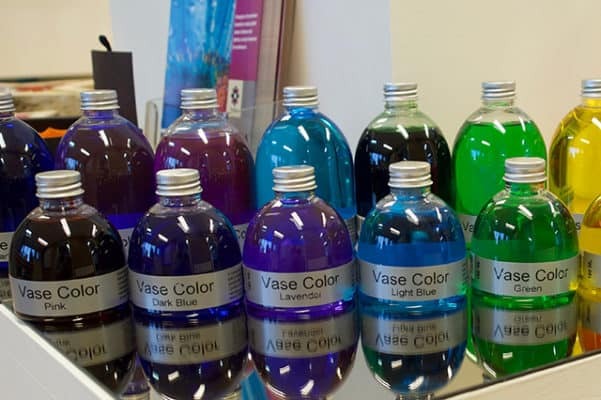 Vase colors are available in 150ml, 300ml and 1 liter bottles. These products makes it very easy to get a special look in your home. Vase color should be combined with regular flower food in order to achieve the best results. By mixing the Fleurplus vase color you can create any color you would like. 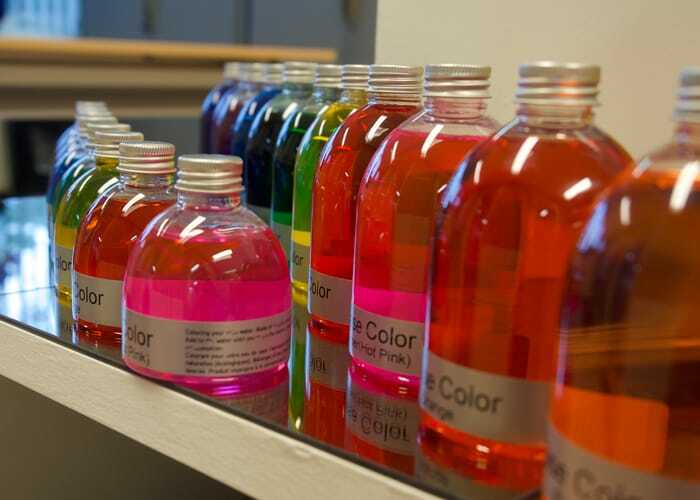 We offer the water dye in 10 different colors (Milka, dark blue, purper, red, yellow, light blue, lavender, orange, pink and green). The vase color can also combine with our transparent gel, allowing you to create your own desired gel color.